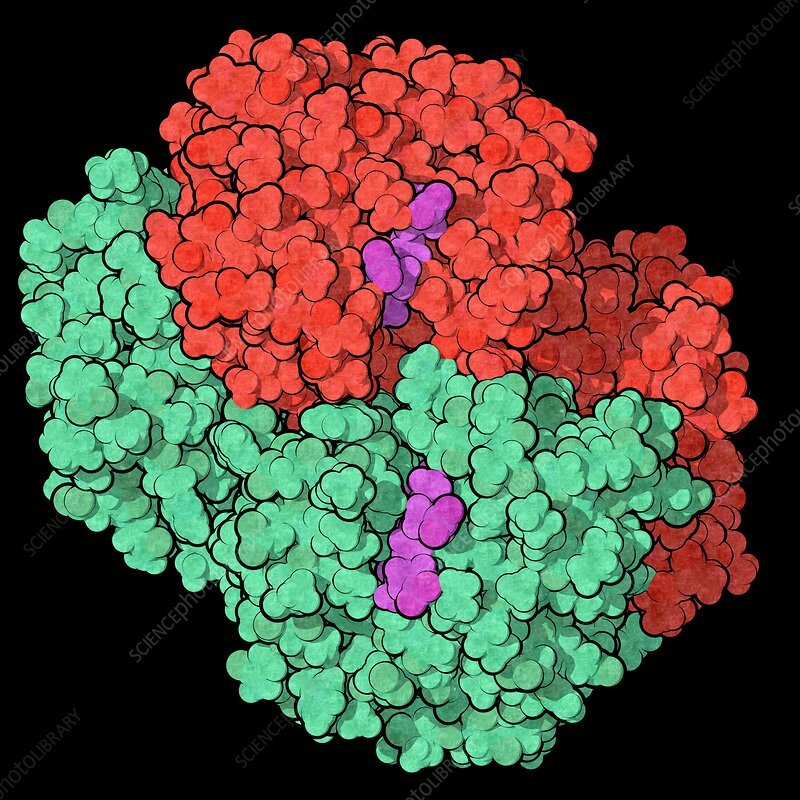 Haemoglobin (human, Hb) protein. Iron-containing oxygen transport protein found in red blood cells. Space-filling model. Chains shown in different colours.